Hello!! Geeze, it feels like it's been forever since I have blogged or talked with you guys! Life just keeps getting in the way of my creative time! It's not fair!! This is the sketch from Stuck! And the additional challenge at frosted Designs is to use the sketch and add ink, mist or paint. I love any excuse to make a mess......lol. I chose to just dab on some paint with a wadded up coffee filter and i really love how it looks against the wood grained paper. 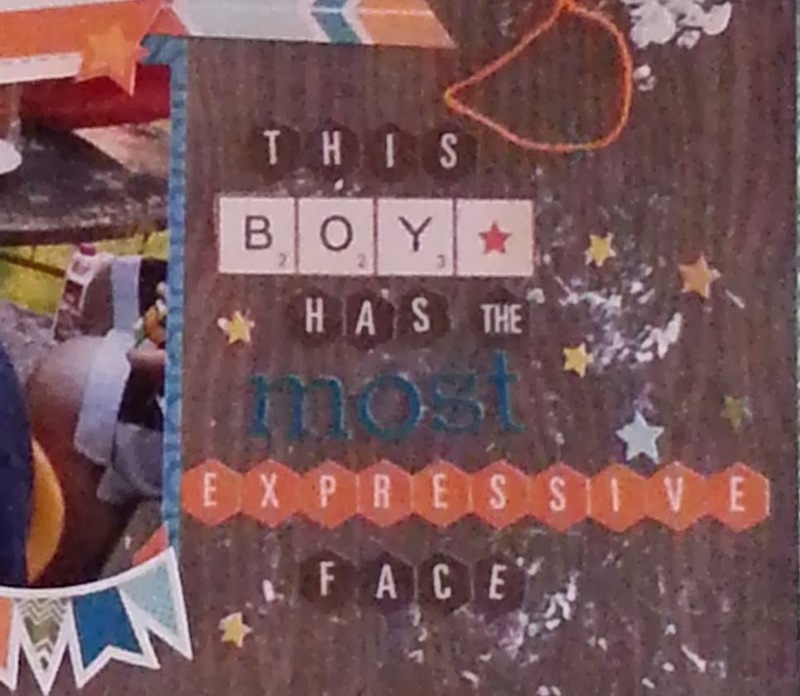 I used a mixture of all of the alphas in the kit and cut the word "boy" out of one of the papers. Thanks for dropping by and visiting with me today! Time for me to go pick up the kiddos! great layout, fun photos and great product to coordinate with it. 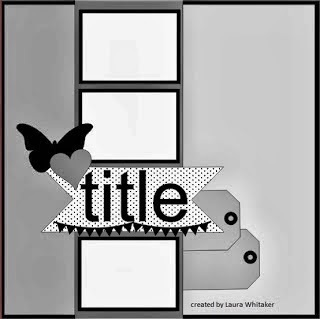 loving the background work you did! thanks for joining us at Stuck?! 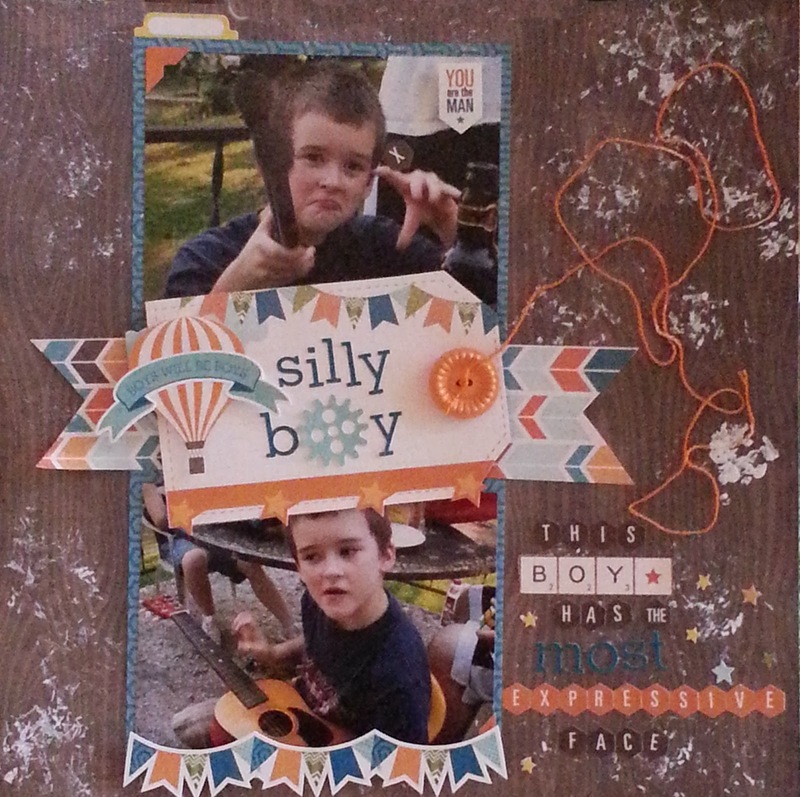 great boy page and LOVE all the fun background and twine!!! way to go on your son getting his grades up, that is alot of work!! way to go to you for all your hard work with him, I know it's not easy!! YAY for Brandon with his grades!! I love love love your lo! LOVING the string, the colors, the balloon and the photos!!!!!! Twine gone wild! Love it! Great take on the sketch. Thanks for joining in at Stuck?! Cute photos and wonderful take on the sketch! I love the papers, the title on the tag with the button and the twine. Thank you playing with us at Stuck?! LOVE the background! Such a fun title too! Thanks for joining in at Frosted Designs! Hey girl!! Well, CONGRATS Brandon! Well done! That is absolutely awesome news and I bet you are proud :-) My son just got accepted to University of Ontario for a BA in Science in Sept. He wants to be a vet. I am so proud, but boy, those heart strings are being pulled at the same time. Our baby, Ashleigh, will go off to high school and Andrew University .. where does the time go?? We're waiting on 3 more before he makes a final decision. Love your LO this week and great take on the sketch too!!! Wonderfully done Tina!!! So very cute!! !